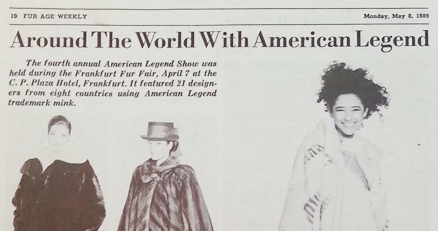 Around The World With American Legend Fur Age Weekly, May 8, 1989 The fourth annual American Legend Show was held during the Frankfurt Fur Fair, April 7 at the C.P. Plaza Hotel, Frankfurt. 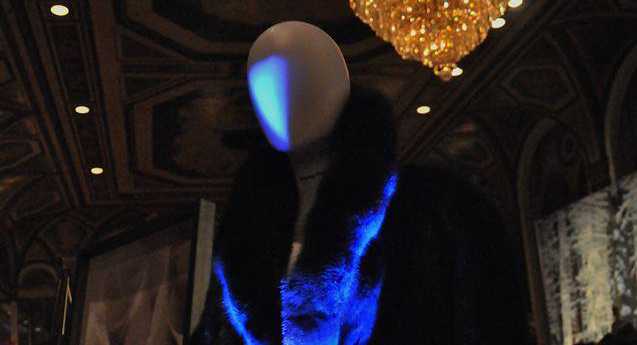 It featured 21 designers from eight countries using American Legend trademark mink. 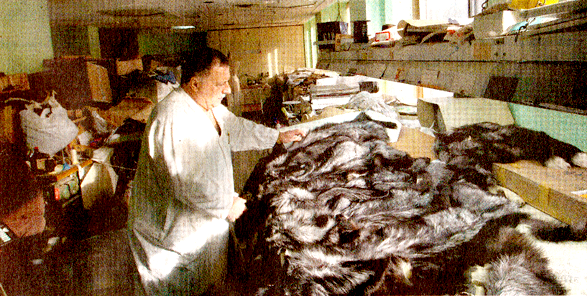 YUKON FUR, Canada, used Jasmine mink for this cape.